So with it being winter and all, my skin definitely seems to be getting worse. However, I have one saviour, and it's one that I would never have guessed myself until I tried it out... Porridge Oats! 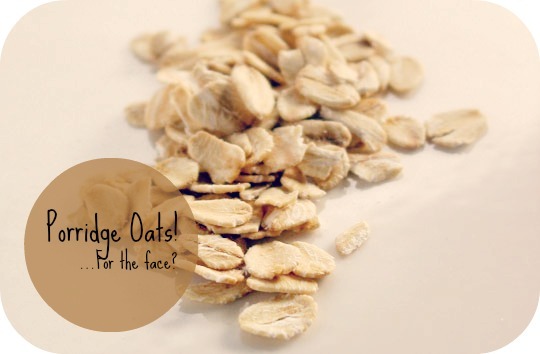 I'm sure you've all heard of using oats for skincare before and probably tried it, but this natural cleanser is the best one ever! I never usually expect all these natural skincare methods to actually work, and most of the time, they really don't - they often get used because they have ingredients in which are known to be healthy for skin, and are put into normal skincare products, but there's not enough of these ingredients in them to make a difference! Oats are different. -Take a small handful of oats and clench it in my fist. -Run my hand with the porridge in under lukewarm water until it gets it kind of... sticky. -I just rub this all over my face like a usual cleanser! -Rinse and dry it like normal. How unusual! I can't wait to try this! Thanks for the tip, my skin is definitely getting worse because of the colder wether. Can't wait to try! Very useful post honey!! thanks for your visit! I‘m folloqing u too right now! I'm really intrigued to try this but does it not end up a bit messy? !